There are 168 hours in a week—this is a new approach to getting the most out of them. It’s an unquestioned truth of modern life: we are all starved for time. With the rise of two-income families, extreme jobs, and the ability to log on to the world 24/7, life is so frenzied we can barely breathe. But what if we actually have plenty of time? What if we could sleep eight hours a night, exercise five days a week, and learn how to play the piano without sacrificing work, family time, or any other activity that is important to us? We can. If we re-examine our weekly allotment of 168 hours, we’ll find that, with a little reorganization and prioritizing, we can dedicate more time to the things we want to do without having to make sacrifices. Drawing on the stories of successful people who have fulfilled their goals by allocating their time according to these principles, 168 Hours is a fun, inspiring, and practical guide that will help men and women of any age, lifestyle, or career get the most out of the time and their lives. 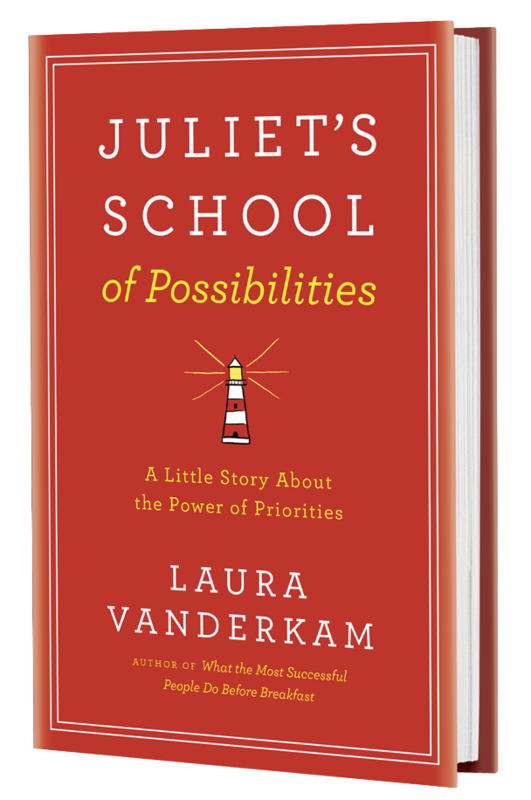 “Within a few pages, Laura Vanderkam’s book convinced me I had time to read it. Then it convinced me I had time to reread War and Peace. In the original Russian. Thank you, Laura, for freeing up my schedule.